With the New Year almost upon us, thousands of individuals will be signing up to gym memberships after putting on weight over the Christmas holiday. While the majority of those fail to keep up their new fitness regime for more than a few weeks, there are those that stick with it. 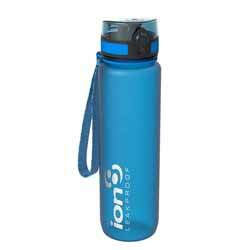 Ion8's new range of leak proof water bottles will ensure you keep hydrated while you work out. And, if you don't manage to buck the trend and do end up failing to make it to the gym every morning, then this water bottle is still useful for weekend walks, days out or even picnics in the summer. For most everyday uses (unless you drink a lot of fluids or are going on a long journey) the 500ml bottle is suitable for most individuals, but for only £1 more you can get twice the storage capacity. Made from BPA free, phthalate free, non-toxic Tritan, this bottle is odour resistant, easy to hand wash and suitable for hot or cold drinks. 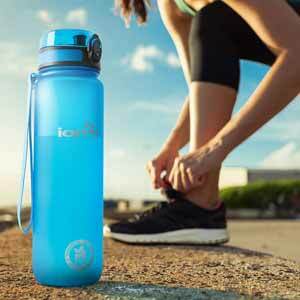 It also has a vented, smooth liquid flow for rapid hydration and a tough carry strap.